myoldmac.net - Coleco Alien Attack Tabletop · 1982 - Buy it! 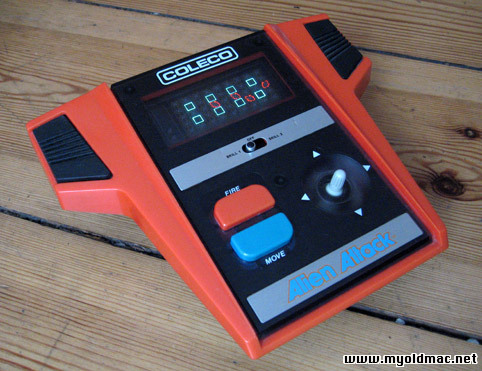 Vintage Handheld ARCADE Game - Coleco Alien Attack (1982, VFD, 4 C Batteries, Model# 2370). The Sound is a legend! 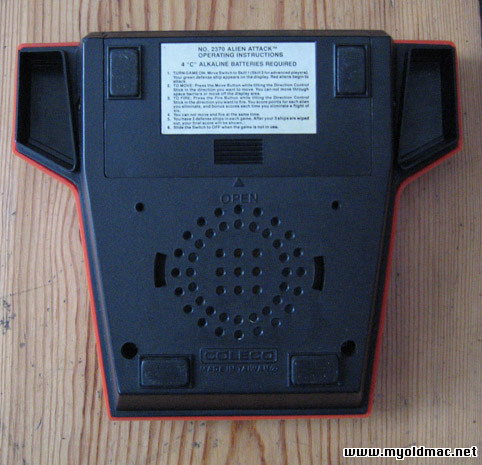 The Handheld is in good optical condition but the joystick is unreliable, sometimes the players ship does not move corectly. Sold without guarantee. Please see the Photos. A Similar version was released by CGL as Earth Invaders in Europe (and also by Gakken as Heiankyo Alien in Japan), but they do have significant game play variations which make them a lot harder to play (see the pages for those games for a more detailed description). A video at youtube with sound! 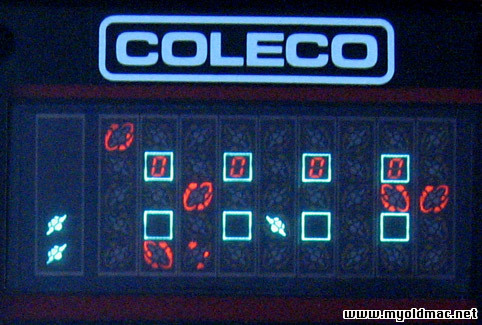 Not this sold coleco here. Sehr selten, optisch guter zustand, der Joystick ist aber unzuverläßig - das Spieler Schiff bewegt sich nicht korrekt. Gelegentlich "fliegt" es nicht nach oben. Sonst alles in gutem Zustand, Batteriefach vorhanden, Screen und Gehäuse sehen gut aus.